The Connections Retreat is Campus Ministry’s annual retreat for first-year students. Spend a weekend having fun, growing in faith, and learning about life at PC. Take a break from the busyness of starting college, form new friendships, and reflect on the role of God in your life. Make great connections with upper-class student leaders and other new students! Enjoy a weekend of canoeing, s’mores around a bonfire, time for prayer, a fresh outlook on college, and great food. Transportation and lodging are provided. The dates for the 2019 Connections Retreat are: September 13-15, 2019. Like the PC Connections Retreat Facebook page! Every Fall, Campus Ministry sponsors a Men’s Wilderness Retreat. This year’s retreat will take place October 19th – 21st at Manadnock State Park – Gilson Pond Area in Jaffrey, New Hampshire. There will be opportunities for Mass and confession in addition to beautiful hike of Mt. Monadnock, campfires, cooking, and camaraderie. Space is limited, so please register today at: https://prov.ly/menswilderness-18 For more information contact Fr. Bonaventure Chapman, O.P. (bchapman@providence.edu) or JP Manning (jmannin5@providence.edu). 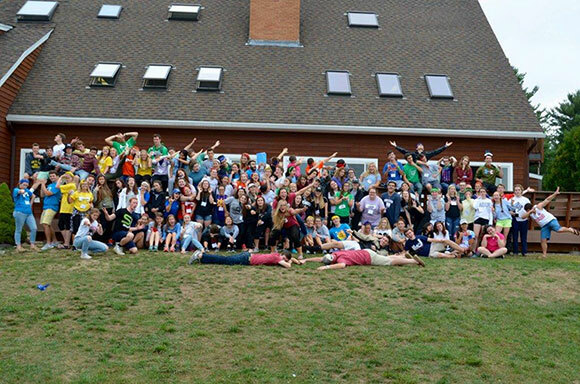 Seniors – our second annual one day Senior Retreat is taking place this fall! We will head to scenic Camp Watchaug in Charlestown, RI on Saturday, November 3rd for a day of prayer, discussion, and time to relax off campus. Senior year includes unique challenges, times of reflection on the future, and the opportunity to finish your time at PC well – we hope to give you the time to enter more deeply into these topics during the day. Don’t miss out on a great day with your peers at a beautiful spot on Watchaug Pond! We are thrilled to introduce our first ever Silent Retreat, by popular demand of many of our students. We challenge you to begin the spring semester in quiet prayer with our Lord at Cathedral Camp retreat center in East Freetown, Massachusetts on January 12th and 13th, 2019.This one night overnight retreat will include reflection talks by chaplains and campus ministers, opportunities for the sacraments, and time for personal prayer and reflection. Other than the talks by staff and the sacraments, this retreat will be made in total silence. This is our most unique retreat offering in that there are no small groups, games, or icebreakers, but simply time to be with God in a profound way. We are so excited to share the graces of this beautiful weekend with you! All retreatants will be able to move into their dorms early on Friday. We will drive to and from the retreat together, so no need to make special travel accommodations. The retreat will begin at 8 AM on Saturday morning. We will return to campus by 3 PM on Sunday afternoon. Attention sophomores! Looking to get away for a weekend to grow closer to the Class of 2021 and God? Our Lighthouse Retreat is for you. Please contact campus minister JP Manning (jmannin5@providence.edu), or Allyse Gruslin (agruslin@providence.edu) with any questions! Encounter with Christ 38 will take place April 5th – 7th, 2019 at our new location: Cathedral Camp in East Freetown, Massachusetts. The Encounter with Christ Retreat is open to all PC students. This unique retreat brings together many different people who are in different places in their lives and places in their walk with God. The retreat is led by students who have participated in Encounter before and provides participants with opportunities for individual and group prayer, powerful witness talks from PC students, Mass, Confession, and so much more! It is a great opportunity to take a weekend away from the busy life of the PC campus and have time for prayer, reflection, and community building.